There is so much to Blog that I almost don't know where to begin or what to share and what to let go. I guess I will start with myself and see where things go from there. As I have written before I have been taking Voice Lessons. These aren't the singing kind but the spoken kind. Before transitioning from the previous life I had a very deep voice. I managed to do some modifications on my own and I got by. I had difficulty on the phone, but everywhere else I was ok. I just wanted to go the next step and make my voice better. I have been making progress, but I always seem to have nasal congestion and eventually raspyness in my voice develops. My voice therapist thought there might be a physical issue with my vocal cords. Yesterday I went to the Ear Nose and Throat Dr that she recommended. It turned into a two hour appointment! First of all let me say that there isn't anything seriously (life threatening) wrong with my throat. That said, there ARE some problems. I have a condition called GERD. You may have heard of Gastric or Acid Reflux, well I have that. Some people have heart burn, but I had no noticeable symptoms except in my vocal cords. The situation is more common than one would believe. What goes with all this is a nodule on one of my vocal folds. The picture of the voice box isn't mine and it has two nodules or lesions, but mine is similar. I am now taking medicine to treat the Acid Reflux, more pills. Sigh! And, oh yes, I might have to have surgery to remove the nodule. That, in it self, is bad enough, but the fun continues. I have to go for a new sleep study. I have been treated for Sleep Apnea for 18 years. My original sleep study was 18 years ago and my CPAP machine is that old. Since my post nasal drip is also involved and the CPAP pushes air down my throat to keep it open while I sleep, he feels that I may need to have new adjustments to the CPAP equipment and settings. Once again, Sigh! And the fun continues! Allergies were also suspected. I had a bank of allergy sensitivity test. Spots of various substances that are common allergens were placed on my forearms. I waited twenty minutes to see if redness and itchiness developed. Food allergies were tested on my left arm and air-born substances on the right arm. The good news is that I am not allergic to any of the tested foods! I am allergic to several air-born substances, grass pollens, rag weed, lambs quarters and another weed who's name I don't remember. 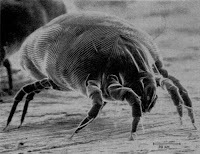 I am also allergic to DUST and dust mites. Dust is everywhere! It's no wonder that I sneeze all the time. I don't know what the Doctor plans for me on the allergies since the allergy testing was the last thing done. He did give me some nasal sprays to use, suspecting I had a problem. I am pretty down about all this. To cheer myself up I went and had my hair done. I tried calling a friend just to talk, but only got her voice mail. I then had back pain all evening. I am guessing it was stress. You have a great day and keep warm.